6 images. 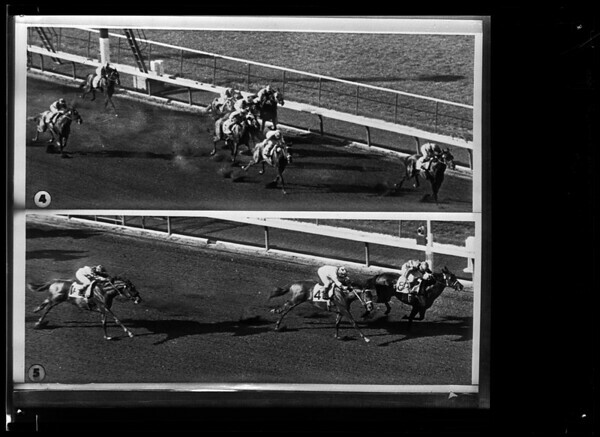 Horses -- race -- Santa Anita, 11 March 1958. Silky Sullivan. "Sports". (Sleeve reads: SP 12287).